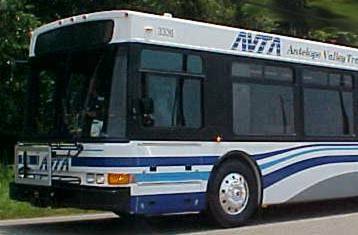 LANCASTER – A one-mile stretch of Avenue J was shut down for several hours Tuesday night as emergency units responded to a bomb threat aboard an AVTA bus, according to AVTA officials. They say the incident happened around 9:30 p.m. Bus Operator Stacy Hayes was alerted to the possible threat after a customer abruptly exited the bus, jumped a nearby brick wall, and then quickly ran off. Hayes conducted a walkthrough of the bus and discovered a suspicious black bag under a seat. The bus operator immediately evacuated the single passenger and called dispatch to report the suspicious package. The Los Angeles County Sherriff’s Bomb Squad responded to the scene at Avenue J and Division Street in Lancaster. The one-mile stretch of Avenue J was shut down for several hours while bomb squad investigators determined the plastic bag was filled with bottles and cans. Bomb Squad investigators praised the quick actions of Hayes calling his response “spot on”. AVTA’s Executive Director Julie Austin also commended the bus operator’s response to the bomb scare.